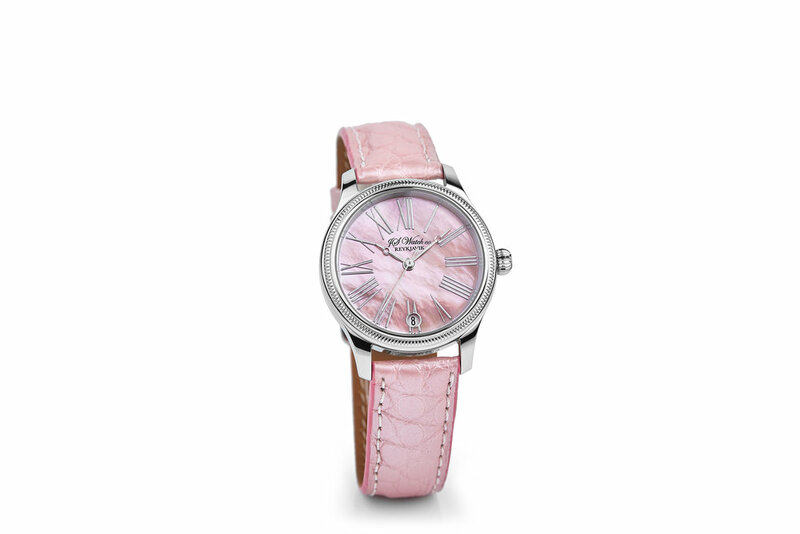 The 101 32mm JS Watch is the perfect size ladies watch. 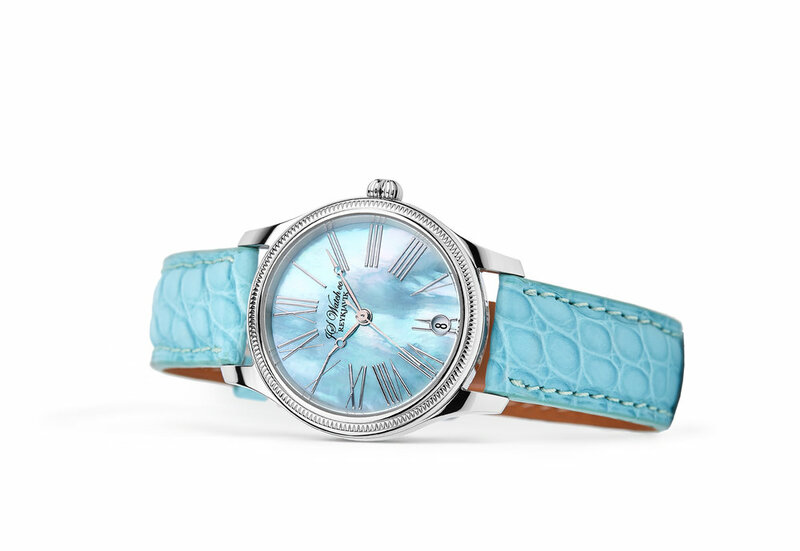 The 101 Art Deco ladies collection is the perfect size dress watch. 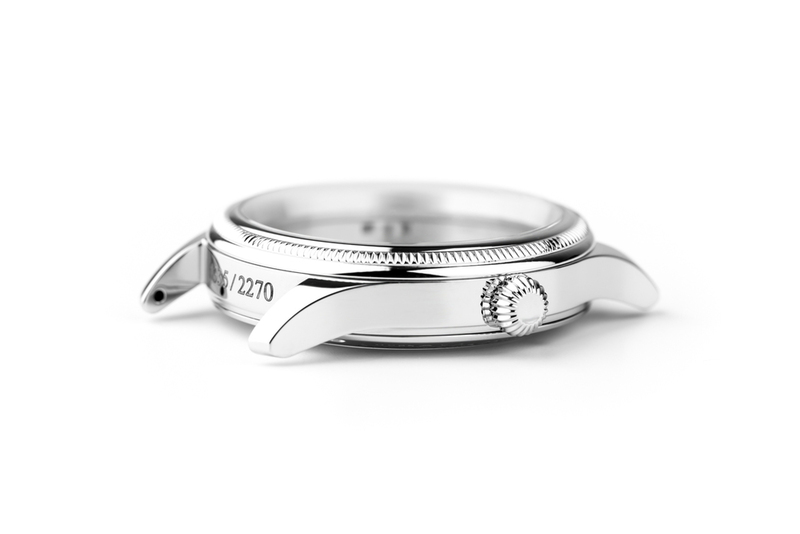 This model is available in a 32mm steel case with a selection of dials, hands and bracelets. 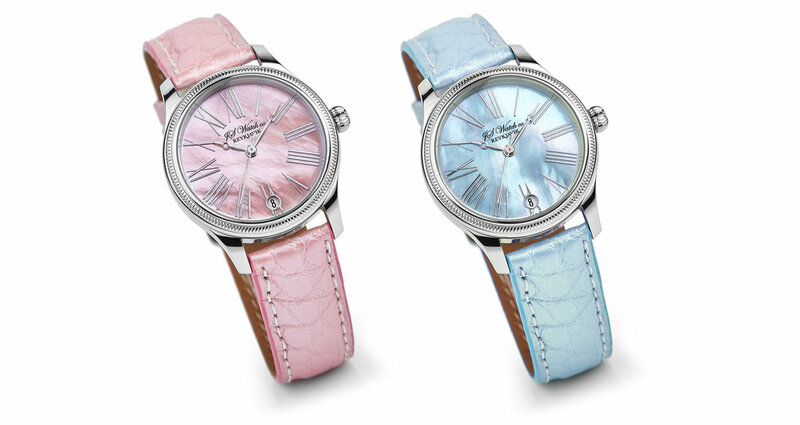 Date display is at 6 o'clock. 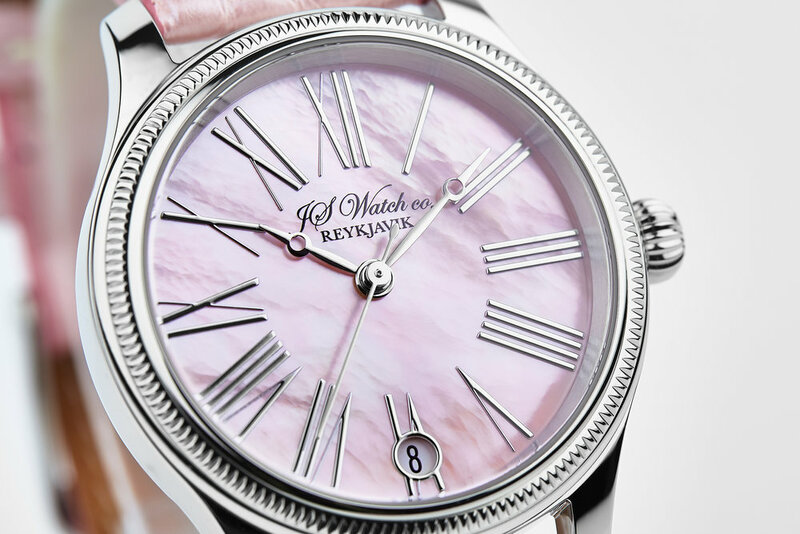 It has a Swiss Made Mechanical movement “Execution Top” with Automatic winding, 25 jewels, Custom decorations, Blue screws and Rhodium plated finish, which can be examined in detail through a sapphire crystal case back. All decorations and craftsmanship is of the highest quality. Material: Surgical grade German Stainless Steel, "316L". Curved Sapphire Crystal with multi anti reflective. coating on the inside. 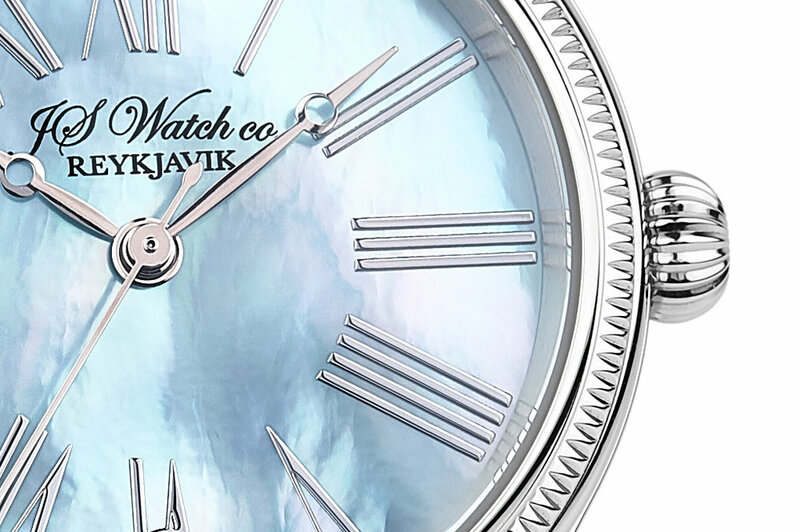 Blue Mother of Pearl with Roman numerals. Pink Mother of Pearlt with Roman numerals. 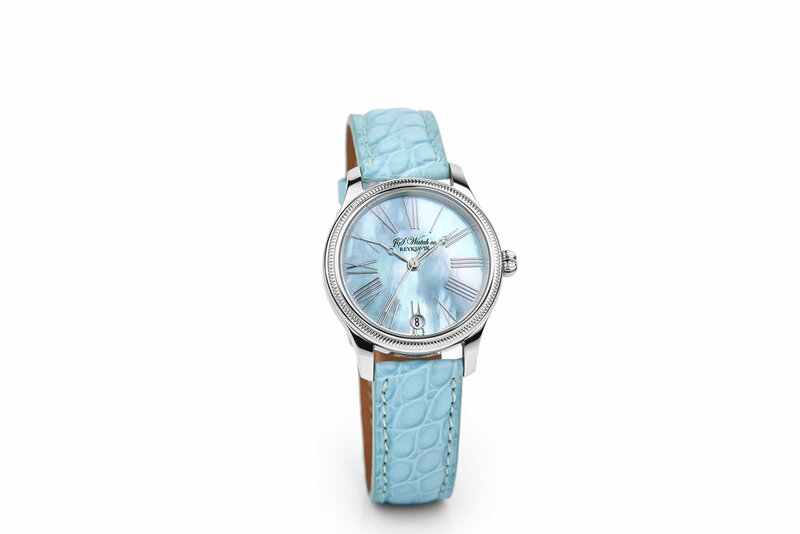 Handmade 16mm Genuine Alligator with JS Watch co. Reykjavik buckle or optional deployment clasp. Art Deco flourished in western Europe and North America during the mid-1920s and is sometimes referred to as Deco. It is a style of visual arts, architecture and design that first appeared in France just before World War I. It influenced the design of buildings, furniture, jewellery, fashion, cars, movie theatres, trains, ocean liners etc and represented luxury, glamour, exuberance, and faith in social and technological progress. The Art Deco style even found it’s way all the way up to small Iceland and you will find buildings around the 101 downtown area of Reykjavik that are influenced by this style like the National Theatre of Iceland, Hotel Borg and even Hallgrimskirkja (Lutheran church of Iceland) has similarity with the Deco style. The term Art Deco was conceived from International Exposition of Modern Decorative and Industrial Arts in the year 1925 at Paris. It is characterised by the use of rich colours, geometric shapes and extravagant ornamentation. The said art style did not only persist in graphic design but almost on everything during that era. Anything and everything seemed theatrical back then and since it does not adhere with any political ideology, it was generally accepted by everyone.